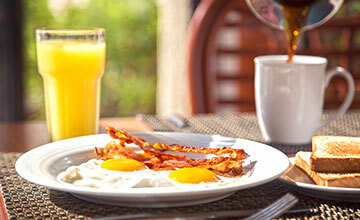 Take advantage of the hotel special offers that Royal Reservations has prepared for you and your companions. 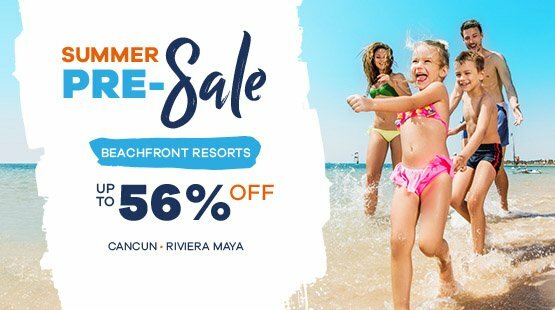 Enjoy your villa or suite in Cancun at the best price and delight in the beaches, theme parks in the Riviera Maya, the culture, nature and fun, with the great hotel deals of this resort with European Plan in Cancun. You and your family deserve only the best during your stay in Cancun and the Royal Islander All Suites Resort has it all. This Cancun hotel features spacious suites and well-equipped villas with a beautiful decor, exclusive amenities and incredible views of the Caribbean Sea. 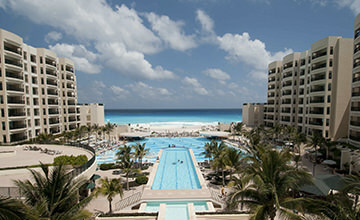 The facilities of this family resort in Cancun have everything you need to delight each of your senses; it boasts a classic and impeccable architecture, amenities and services everyone will love in their well-kept green areas, pools, restaurants and bars, the sun deck and the service centers such as Sports Services, the Tour Agency and the grocery store. Enjoy your vacation in Cancun in this incredible beachfront hotel. 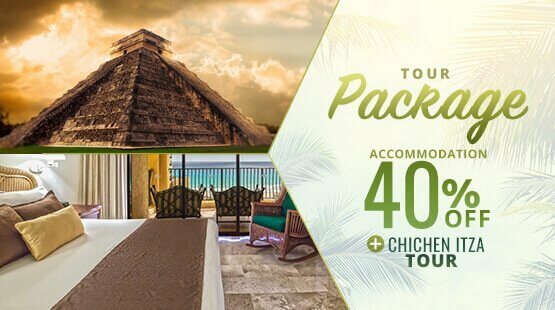 The best hotel amenities in Cancun await you at one of the excellent members of the Royal Resorts family, The Royal Islander All Suites Resort, where we will make sure your friends getaway and your romantic or family vacation become an unforgettable experience. Enjoy exclusive amenities in your suite or villa, our amazing activities for children and adults, and unbeatable services within the magnificent facilities of The Royal Islander. We guarantee that you will feel at home with the amazing advantage of enjoying the views of the sea at all times and discovering all the wonders that this destination offers. "You can tell the people that work here want you to have a great time. The place is super clean. The food was always good. Nothing like quesadillas on the beach with a yummy margarita. The surf was a little rough and you always felt safe with the life guard Elias. Nicest beach I have been to." "We visit The Royal Islander every year, week 4. We are timeshare owners and love going "home" each year. The staff is courteous, gracious, hardworking and professional. 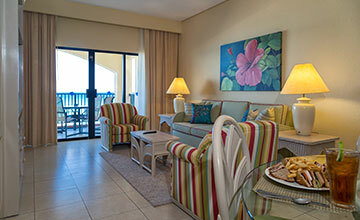 The resort continues to be well maintained." "A marvellous resort. Free wifi and the apartments are superbly fitted out. Can sleep 6 as 2 bedrooms and the lounge can be made into a 3rd bedroom. Full sized kitchen with every white goods you would need. Restaurants on site. Inter resort buses run between the other 2 resorts free of charge. Shop on site along with an excursion desk." At The Royal Islander you will find the best accommodation in Cancun with the European Plan of this beachfront hotel, which will give you the most beautiful views of the Cancun sea in any of its well-equipped suites and villas. Savor the delicious dishes and drinks prepared by our professionals for you, in any of our bars and restaurants in Cancun, at The Royal Islander. 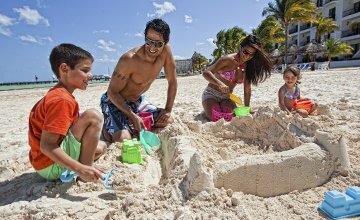 Both children and adults will have a great time at The Royal Islander, with all the fun activities that they will be able to do at this magnificent resort in Cancun where boredom has no place.